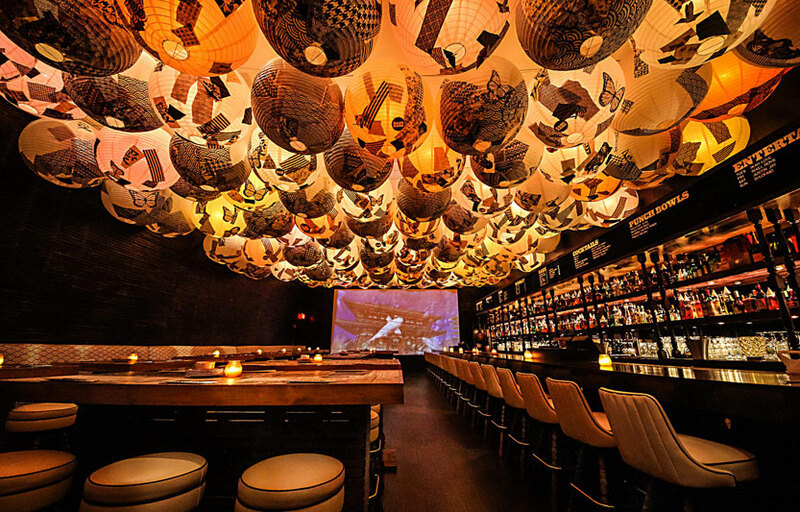 The doors of Bang Bang were opened last fall providing the public with an exquisite Asian-fusion cuisine and remarkable venue. The tunneled stairway entrance, reminiscent of a Tokyo subway station, will bring you into Bang Bang’s unique dimension to create a memorable experience with our excellent service, outstanding food and drink, and our unparalleled hospitality. 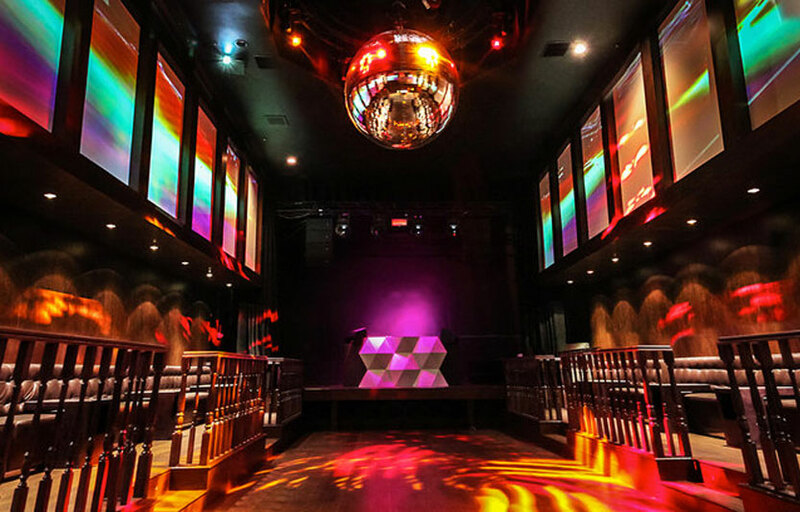 The three different spaces of our venue and custom menus can accommodate any private event from birthday parties, company parties, corporate, social and cocktail events, to business presentations, symposiums and dinner gatherings. For those who have yet to visit Bang Bang, it’s quite a trip. The second-floor space is accessed from a steep stairwell that designers revamped into a tile-lined tunnel with piped-in subway sounds. Upstairs, diners can choose between the quieter, well-lit sushi barroom or the dimly lit social room with bar, dance floor and an endless stream of weird Japanese videos and cartoons playing on the walls. In the women’s bathroom, one stall has been famously devoted entirely to dreamy photos of actor Ryan Gosling (whose name also graces a specialty sushi roll). There are also tributes to Bruce Lee, Hello Kitty and Godzilla. You can have bacon for dessert: The Bangwich (also fun to say) is an ice cream sandwich made with banana-bacon cookies. Come for dinner and stay for dancing! Where is Bang Bang SD located? Bang Bang is located in the gaslamp district in San Diego on Market between 5th and 6th. How much is cover charge at Bang Bang? General admission starts at $20-30 at the door, cash only. How long will I have to wait at Bang Bang? Prepare to wait anywhere from 15-45 minutes depending on how busy it is. When is Bang Bang open? Bang Bang is open for dinner Wed Thurs and Sunday from 5 – midnight. On Fridays and Saturdays the venue is open until 2 am for the nightclub. What are the best nights to go to Bang Bang? Friday and Saturday nights are the nights that the nightclub is open. What is the dress code at Bang Bang? Dress to impress! Collared shirt / jeans / dress shoes for guys. Avoid anything that can be considered sportswear (track jackets, jerseys, sneakers, hats, etc). If you are getting bottle service you will have some more leeway. Better be safe than sorry – nothing kills a buzz faster than getting turned down at the door! Is there parking near Bang Bang? There are local parking lots ranging from $10 to $20 depending on the night. How much do drinks cost at Bang Bang? Cocktails range from $12-16 and premium bottles of liquor start at $350. Bang Bang hosts some of the hottest acts from the EDM, scenes including Treasure Fingers, Low Steppa, Jeremey Olander, Tycho, Pete Tong, etc. What kind of music do they play at Bang Bang? Depending on the guest/DJ on a given night, Bang Bang generally plays more low key EDM, deep house, minimalistic techno, etc. But it depends on the DJ for the night. Where can I find an list of upcoming events / DJs at Bang Bang? You can download the Discotech app to see upcoming events, and book tables for Bang Bang. You can also visit Bang Bang’s website for a current list of events.